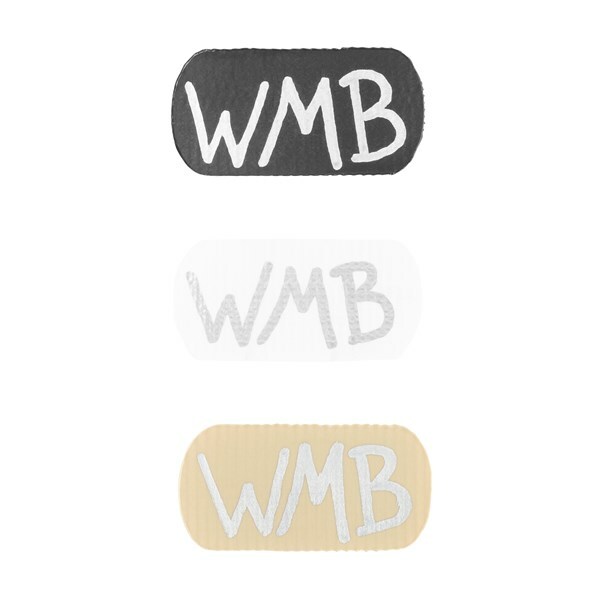 WMB Labels are made with low-profile Velcro Brand hook material and have a surface that’s writable with Sharpie or permanent marker. It’s designed for labeling the exterior of a WMB Belt Pac v2 and will stay attached through everyday performance and washing cycles. The WMB Label can also be used to secure thin, lavalier microphone cables directly to the Belt Pac and relieve the efforts to manage unused cable length.